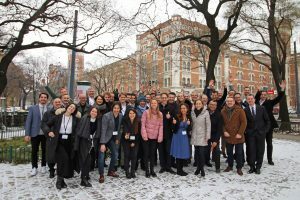 On 24th-25th of January we hosted our second Match-Maker Summit, 2 days full of knowledge-sharing workshops and startup pitches, networking and fun. 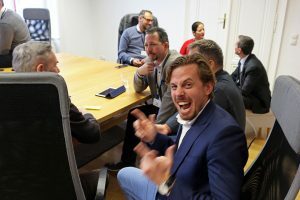 More than 40 executive leaders and startup gurus from nearly 20 countries were brought together in Vienna by Match-Maker Ventures. 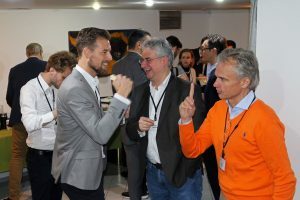 The main goal of the gathering was to accelerate the Match-Maker network and foster value creation for both startups and Match-Makers. During the first day our discussion was reviving around our motto: 1+1=3. We believe that in order to successfully navigate between the two worlds you need a third party that speaks two languages – a Match-Maker (aka a duck). Why a duck? Our Match-Maker Attila Keszeg shared this wisdom with us! Ducks do not fly like eagles, do not run like leopards, do not swim like fish, but combine all of it together to successfully operate in all the three apostasies. 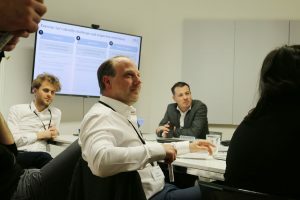 We talked about the challenges that all three parties (corporates, startups and Match-Makers) face and discussed key factors that are crucial for the successful Corp-Up. 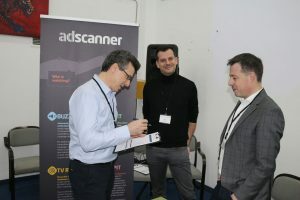 Later in the day, we had a startup fair where Match-Makers got a chance to meet our amazing portfolio startups face-to-face. 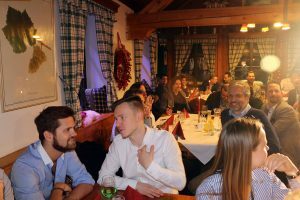 The day ended with an evening event at one of the coziest Heurigers in Vienna, full of delicious local food and wine, breathtaking magician performances and true MMV family vibes. The second day focused specifically on our engagements with Match-Makers in order to outline possible collaboration models. We want to thank all our attendees for providing valuable input during the persona creation that will help us in further designing the network. Overall, these were the two exciting days where we listened, learned, networked, made deals and had fun. Our endless thank you goes to all participants, what a crowd! See you next year. Yes, MMV can!